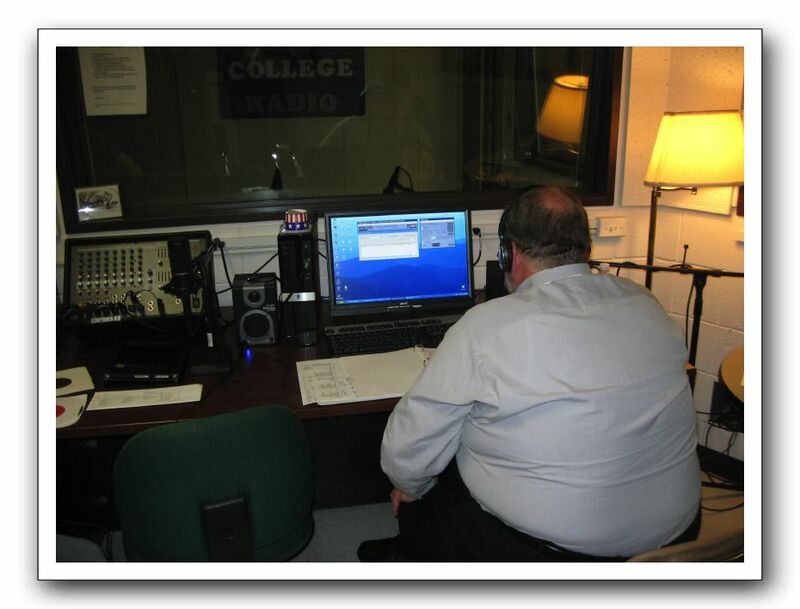 John Bace is on the air during the final hour of the Old School Radio Show on Saturday October 1, 2011 during reunion weekend at Rockford College. WRCR alums gathered to toast the new on-line radio station. Most of the new radio station is in the computer to the left of the monitor...quite a contrast to the old WRCR. While the new radio operation is almost exclusively digital, the reunion broadcast featured 45rpm vinyl records. Two can be seen at the far left.